Top » Catalog » Communion Wear » Linzi Jay » Ellie Communion Dress. Ellie Communion Dress. 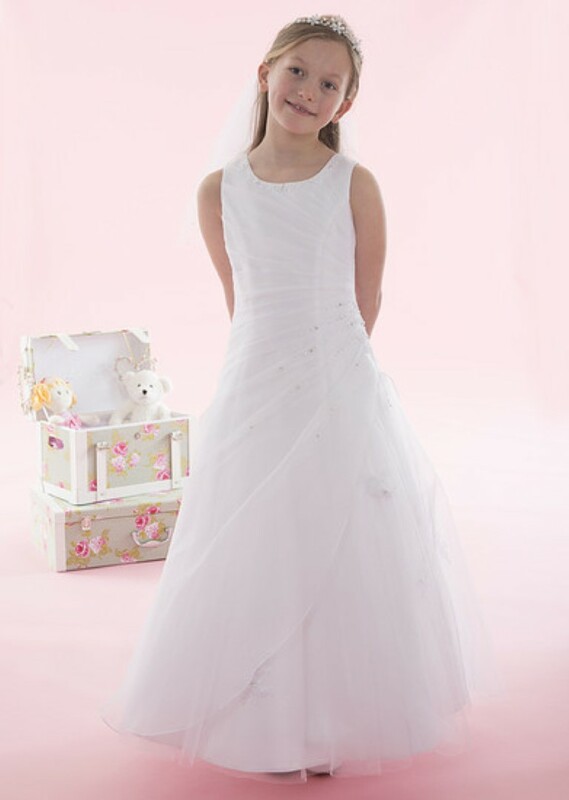 Sleeveless satin and tulle communion dress with pearl and beaded ruched side detail. Zip up fastening with satin covered buttons Sizes: 6yr,7yr,8yr,9yr,10yr,11y,12y,13y &14y. To Order please call us on 0131 334 8322 or if you would like to make any enquiries about sizeing and availability.